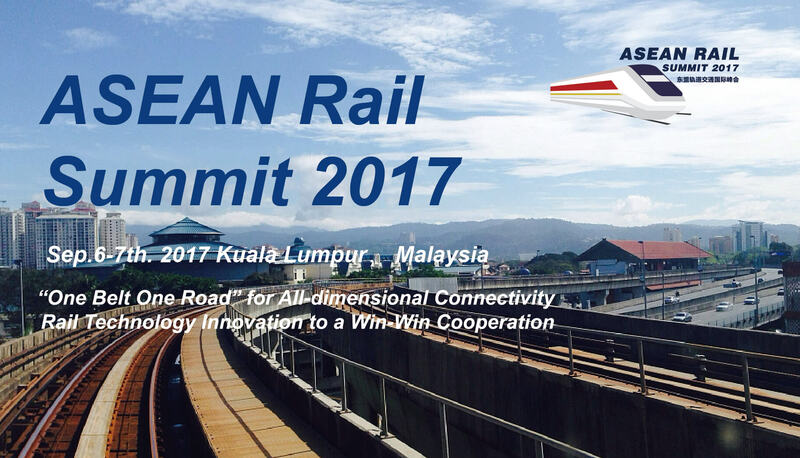 ASEAN RAIL SUMMIT 2017, organized by Shine-consultant as well as supported by Land Public Transport Commission (Malaysia)(SPAD),Institute Of Comprehensive Transportation Of National Development and Reform Commission,Indian Railways,Philippine Nation Railways,SMRT Corporation Ltd, The Philippines Light Rail Transit Authority andChung Hua University,successfully ended on 7th, Sep, 2017 in Kuala Lumpur, Malaysia. China Railway Signal & Communication Co.,Ltd, Morgan Advanced Materials, Tianjin Yichang Electrical Equipment Co., Ltd.Beijing Joydata Technologies Co., Ltd.Jiangsu Hengxin Technology Co., Ltd.Nanjing Kangni Mechanical & Electrical Co., Ltd.Shanghai Edunburgh Elevator Group Inc.Ricardo Rail, Cobham Wireless as well asBureau Veritas sent delegates to attend this conference. At the beginning of this event, the GM of Land Public Transport Commission (Malaysia),Yuslizar Daud made the opening address”The status quo and future demand of the ASEAN Rail Transit Market”, then, the Head of Policy Research Oﬃce of Institute of Comprehensive, Yijiang Fan, made a speech”‘One Belt One Road’ Construction and Rail transport Development Cooperationbetween China and ASEAN Countries”, After that, Wei Luo, the Business Development Director , ASEAN Regional Center of CRRC Zhuzhou Locomotie Co., Ltd. gave a lecture named “To be the core driver of the development of railway industry in Asean countries”, later, the Head of Marketing Department of CRSC International Co., Ltd.Jiming Li made a speech”An Analysis on the Development of Signal and Communication systems of Railway and Urban Rail Transit in China”. Lastly, a panel discussion”How to Enhance Competitiveness in the ASEAN Rail Industry Development?”Head, Safety& SMRT Inpectorate of SMRT Corporation Ltd, Lim Chwee Kuong.Senior Commercial Manager of CRSC International Co., Ltd. Xiang Fang, Punit Agrawal, Director Electrical Engg of Ministry of Railway, Govt of India, Junn B. Magno, GM of Philippine National Railways and Voravuth Mala, Deputy Governor of Property Management of State Railway of Thailand have discussed this topic. Afternoon, Director Electrical Engg of Ministry of Railway, Govt of India namedPunit Agrawal made a speech “Energy Eﬃciency on Indian Railway”, Voravuth Mala who is the Deputy Governor of Property Management of State Railway of Thailand gave a lecture”Rail project planning, development and property management in Thailand”, then, Dr kang tong hum, the GM of Railway Assets Corporation Malaysia made a speech”Management and development of the Malaysian railway assets”. After, an Award Ceremonybegan,PCI Technology & Service Co., Ltd. received an award“ASEAN Rail Industry Recommended Integrated Supervisory Control System Supplier Award 2017”,China Railway Signal & Communication Co., Ltd.won an award” ASEANRail Industry Recommended Signal & Communication System Supplier Award 2017”,Frankie Thompson Enterprises, Inc. won the prize”ASEAN Rail Industry Recommended Equipment Supplier Award 2017”as well as Beijing AuteeLight Rail New Technology Co., Ltd.received the prize”ASEAN Rail Industry Recommended Network Light Rail Supplier Award 2017”.